Sea, Sand & Sky: Who is Dexter? My name is Dexter Andrews, I am a rising Senior at Worcester State University in Worcester Massachusetts. I am a member of the football team and which I have been for the past 3 years. I really enjoy playing sports and being a inspiration through my hard work effort to my teammates and people of the community. I attended Brighton High School where I was also a member of the both the football and basketball team. This would be my second summer with Save The Harbor and I am really looking forward to bringing my experience and my passion to the other people I work with as well as the diverse communities we interact with day in and day out. Something I want to learn this summer Is how to be more of a resource to the people around me. What I mean is being able to effectively provide information and be much more reliable as far as information than I currently am; whether that be learning or sharing. I think I do a pretty good job with bringing energy to work and wearing my heart on my sleeve but I feel sometimes i am not the best prepared to provide information. My goal this summer is to stay confident in myself and my team members around me to do the best job possible and make for a excellent summer. Above all else my main goal is to make sure the children and the families enjoy their time with our programs and know that we serve the communities for them and their safety. I think its amazing when we take a look at the opportunities this organization provides for children across various communities surrounding Boston. 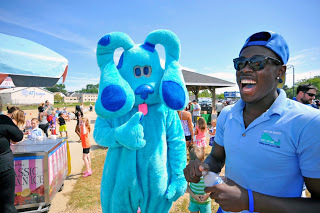 As a kid I had no idea about these kind of programs and even these issues that exist in the harbor, so I think its extremely important to be of a role model to these children we serve and be able to give back from the knowledge standpoint but as well as the physical standpoint; in terms of being there mentally and physically with throughout their experience. I think spending time on the beach and in the water is cool but what I live for is being able to walk away every day/ end of the summer knowing I made an impact on someone's life and that I did it selflessly. I look forward to being out in the communities and learning from the different people I interact with daily to make my self better and the overall experience. I think the best way for me to grow is to be eager and open to change and accept that. im looking forward to a excellent summer and my second year with a wonderful organization as well as its surrounding partners. Sun Block is important so remember to have fun, stay hydrated, and be yourself! Ready for a great summer on the harbor!